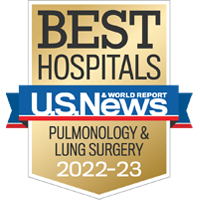 National Jewish Health has a 120-year history as the leading respiratory hospital in the nation and is the only hospital devoted fully to the treatment of respiratory and related illnesses. Please let your patients know about the NTM Lecture Series for Patients and Families on Saturday, September 21, 2019. For information about this event, go to njhealth.org/2019NTMPatients or email Lauren Rieck at rieckl@njhealth.org for more information. Recognize the incidence and distribution of NTM disease. Identify the clinical manifestations of NTM disease. Identify and differentiate the various types of NTM infections. Describe the guidelines for the diagnosis and treatment of NTM infections. September 19, 2019, 8 a.m. to 5 p.m. through September 20, 2019, 8 a.m. to 4:45 p.m. Employee Rate (NJH and SJH). Please email Lauren Rieck at rieckl@njhealth.org for more information. National Jewish Health designates this live activity for a maximum of 13.5 AMA PRA Category 1 Credits™. Physicians should claim only the credit commensurate with the extent of their participation in the activity. Registered Nurses: Provider approved by the California Board of Registered Nursing, Provider Number 12724, for 16.5 contact hours. * Credit hours are subject to change slightly dependent upon finalization of the agenda.